A pair of red shoes is a closet necessity in my mind. Something about the bright hue is the perfect punch to add to any outfit and the color goes with just about everything; I always pack either my red flats or red sandals when I am traveling because I know they can be worn so many ways! Since I already have the flats and sandals covered, I have been wanting to add a pair of red heels to my wardrobe, but haven't been able to find the perfect pair. Until now! These heels are amazing. The color is fantastic, the chunkier heel makes them easy to walk in, and the scalloped detailing on the side just gets me. 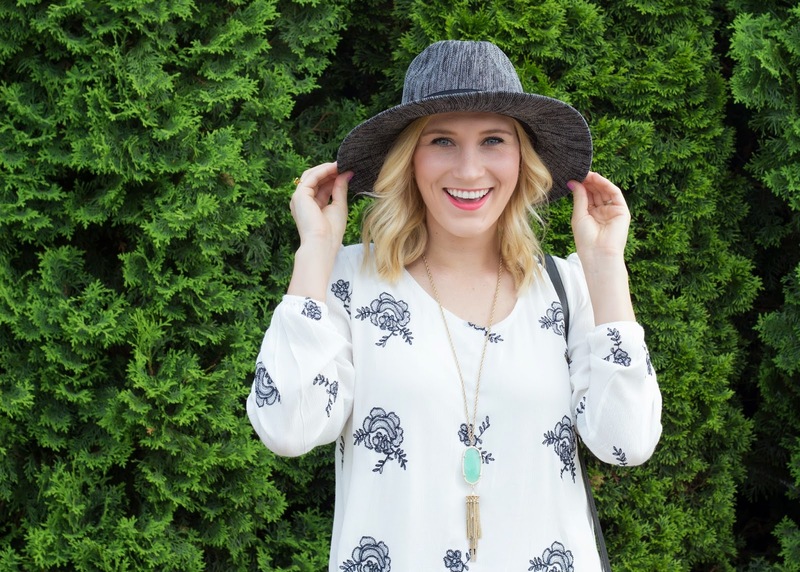 Sheinside Dress c/o || Mint Julep Heels c/o || Forever 21 Hat || Nordstrom Sunnies || Vintage Coach Bag (Similar for only $32!) 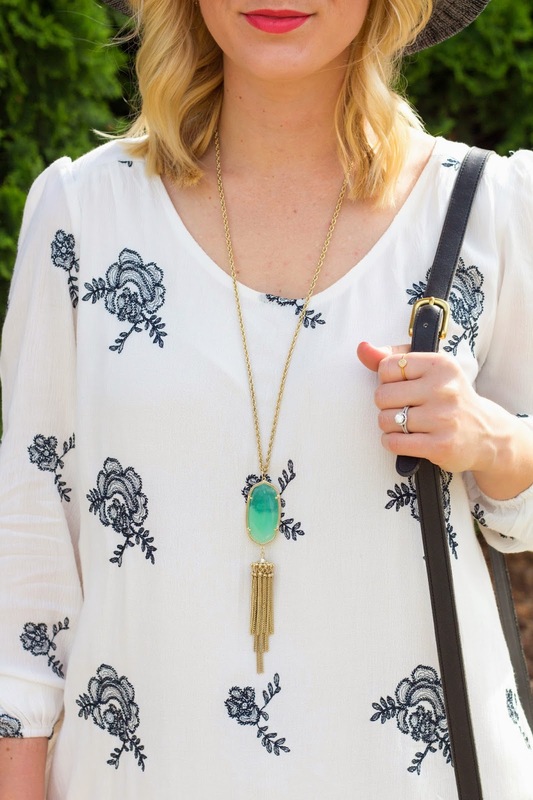 || Bauble Bar Ear Jackets || Gorjana Ring and Kendra Scott Necklace via Rocksbox - use code "marykatherinexoxo" for your first month free! I couldn't agree more! I love my red heels!! They add so much color and excitement to an outfit!